You are looking east over Camp Snoopy from an observation deck on the west end of the park. The "Skyscraper Ferris Wheel" is on the far left. 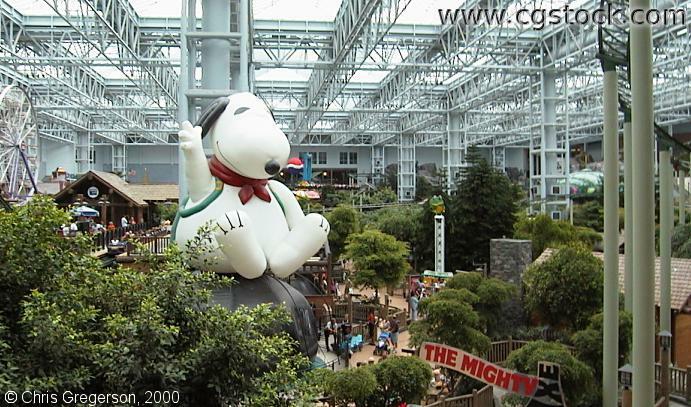 The inflated Snoopy is on top of the "Snoopy Bounce" ride for kids. The Mall of America surround the park.